Dr.Malpani's Blog: Poor Ovarian Reserve and Poor Ovarian Response - what's the difference ? Poor Ovarian Reserve and Poor Ovarian Response - what's the difference ? Sometimes patients get confused between poor ovarian reserve and poor ovarian response and I’d like to clarify what the difference between the two is. Poor ovarian reserve means that there aren’t too many follicles left inside the ovary , which means the probability of getting good eggs when we try IVF is poor. 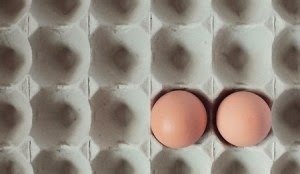 Poor ovarian reserve could either mean that the quantity of eggs is not good ; or that the quality of eggs is not good . In most patients with poor ovarian reserve, both quantity and quality are not good , because they usually go hand in hand. This is called the oopause, and occurs because of aging ; or because of surgical damage to the ovary ( for example, as a result of the laparoscopic removal of an ovarian cyst); or because of diseases such as endometriosis. We can check ovarian reserve by doing tests such as an antral follicle count and an AMH level, both of which provide useful information . However, neither will ever give a yes or no , or a black or white answer, because biological systems are full of variables. Far more important than the ovarian reserve is actually the ovarian response. How many follicles did the patient grow when we super ovulated her in an IVF cycle? And how many eggs did we collect ? And how many of these were mature? The proof of the pudding is finally in the eating , and it’s the response to superovulation which really tells us what the egg quality and quantity is. We often see patients who have poor ovarian reserve , as judged by low AMH levels or a poor antral follicle count, who pleasantly surprise us and end up as good ovarian responders, and we get good quality good embryos to transfer for them . Conversely , we have patients who apparently have good ovarian reserve , as based on the fact that their AMH levels are normal and their antral follicle count seems fine , but when we super ovulate them for IVF , they have a very poor response., and we get few eggs , which are often of poor quality , which means we don’t get good quality embryos for them. Need help in figuring out what your chances of IVF success are ? Please send me your medical details by filling in the form at www.drmalpani.com/free-second-opinion so that I can guide you better !